Natural products are all the rage right now, and apple cider vinegar (ACV) is one of the superstars. From aiding in digestion, managing your blood sugar levels, whitening your teeth, and removing dandruff to improving your skin’s quality, it can offer numerous benefits for your health and beauty. Speaking of beauty, if you’re wondering “does apple cider vinegar work on skin”, it definitely does! Did you know that ACV can also help in addressing skin issues like acne, blemishes, age spots, wrinkles, and warts? The secret on how to get clear, vibrant skin is to know how to use ACV properly. Like most treatments, it works best when left on your face as you sleep for a brighter, smoother, and clearer skin the next morning. So, to learn the ways and methods on how apple cider vinegar on face overnight can help get rid of your skin problems, keep reading this article! All of the benefits of raw organic apple cider vinegar can be attributed to its major component: “the mother”. The Mother is the living component of the fermented apple cider that is composed of beneficial bacteria and appears like orange to brown wisps of threads or web floating along the bottom of the bottle. It contains all the active ingredients and nutrients that boost your health and overall well-being. ACV comes from apple extracts or juices that go through a complicated and long fermentation process where enzymes and nutrients are preserved. These work together to elicit its therapeutic and medicinal properties. Potassium in apple cider vinegar helps prevent hair loss, keep your teeth strong, and get rid of a runny nose. It contains pectin, a substance that regulates blood pressure and reduces bad cholesterol levels in your blood. It has malic acid that helps boost your body’s defense mechanism against fungus, bacteria, and viruses. It has calcium for stronger and healthier bones and teeth. It contains ash that helps normalize and maintain the body’s alkaline state. The acetic acid in this vinegar limits the rate of sugar absorption in the blood after each meal. ACV also contains vitamins A, C, E, B1, B2, and B6. It also contains live bacterial cultures similar to probiotics that are beneficial to your health. Apple cider vinegar is a great overnight topical treatment for acne. You can use it in several forms and ways. Here are three methods that you can follow in using apple cider vinegar on face overnight. Method 1: Apple Cider Vinegar Acne Spot Treatment. The first way on how to apply apple cider vinegar on face is by using it as is or diluted with water as an astringent to dry out pimples overnight, reducing redness, inflammation, and size after every application. It does so by helping to balance the skin’s pH and by eliciting its antifungal and antibacterial properties to prevent future acne problems. This method also allows you to get rid of pimples or acne without leaving ugly scars due to other methods like squeezing and pricking. Mix together ACV and water in a clean container or bottle. How To Apply apple cider vinegar? Dip a cotton ball in the mixture and dab it on the affected areas of the skin or acne spots. Use a band-aid to keep the cotton ball in place and leave this on overnight. Remove the cotton ball in the morning and wash your face as usual. For best results, do this as soon as you notice a pimple. After a week or so, the pimple should be gone. Method 2: Apple Cider Vinegar As Face Toner Spray. You can also make a toner with ACV. Other advantages of apple cider vinegar for skin are preventing skin infections and balancing the skin’s pH. If you ask me “is toner good for your skin?”, it is! It is also one of the best beauty cleanser and works by helping remove excess oil, makeup residues, and dead skin cells by breaking bonds between them and keeping the skin pores open. Witch hazel is also an astringent while essential oils help soothe the skin. Pour and mix all ingredients into an empty spray bottle. Spray the mixture all over the face or on affected areas. Leave this on to dry for at least 15 to 20 minutes or overnight before washing off with water. Store the mixture in the refrigerator for a pleasant cooling effect. Method 3: DIY ACV Overnight Treatment. Sea salt removes impurities from your pores while lemon juice is an effective way to treat acne. The vitamin C and citric acid in lemon juice brighten and lighten the skin while also eliciting an antibacterial effect. Citrus oil and tea tree oil also have antioxidant and antiseptic properties. Simply combine the ingredients in a container. Using a cotton ball or a Q-tip, apply the mixture on acne-affected areas. Leave the application to dry overnight. Rinse your face with water in the morning. Repeat this 2 to 3 times per week with sea salt or daily of using only lemon juice as salt tends to dry out the skin. Washing your face daily with pure or diluted ACV can noticeably reduce dark spots or age spots. The alpha hydroxy acids in apple cider vinegar act by removing dead skin cells to reveal healthier, brighter, vibrant, more even-toned skin underneath. Another way to use apple cider vinegar for age spots is by applying it directly using a cotton ball, leaving it to dry for thirty minutes, rinsing it with cool water, and patting your face dry. For best results, do this twice a day for 6 weeks. Apple cider vinegar helps fight acne, blemishes, and pimples due to its antifungal, antiviral, and antibacterial properties that prevent pimple formation. Apply it as a spot treatment using the different methods mentioned. 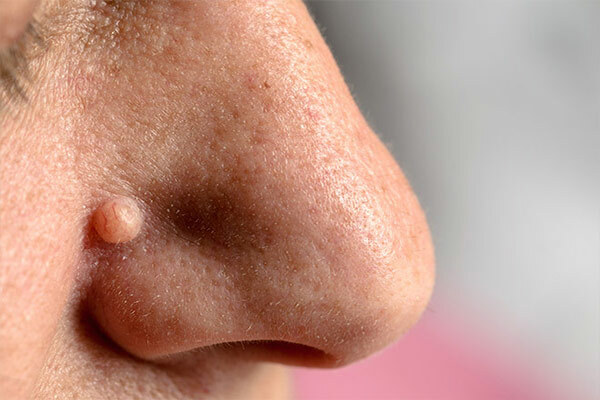 Warts can be painful and annoying. To remove these, mix equal parts of apple cider vinegar and glycerine and apply daily. You can also dip a cotton ball in pure ACV and use a bandage to keep it in place overnight. Using ACV as a facial wash can help reduce wrinkles and fine lines. Dip a piece of cloth or cotton in a mixture of ACV and water. Apply this on your skin before rinsing with warm water and patting the skin dry. used to remove skin tags on your underarms. Wash your skin with mild soap and lukewarm water. Dry the skin completely and gently scratch the tag with a toothpick but do not let it bleed. Dip a piece of cotton in ACV, wringing off the excess. Place it on the skin tag and secure with a bandage overnight. Remove the next morning and wash thoroughly with water. Repeat this for three to four days or until the skin tag darkens in color. Soon, it will dry up and fall off. Apple cider vinegar is really an all-purpose wonder vinegar. Just as we thought that we do not need any more reasons to love it, we are introduced to more ways of using apple cider vinegar on face overnight to treat skin issues! So, you may want to keep a supply of ACV in your kitchen our pantry, just as your grandmother always told you.